Facepunch Studios has launched CheatPunch, a "stop gap solution" to help halt cheating in Rust. 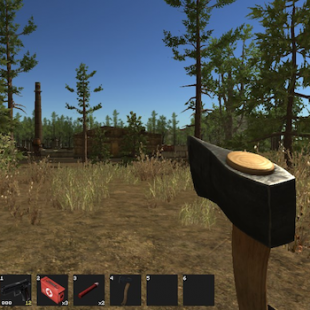 Rust, Facepunch Studio's game of apocalyptic survival, has done pretty well for itself in the months since it launched on Steam Early Access. In fact, with a million sales under its belt, you might go so far as to call it a success. That said, success of that scale comes at cost. The first price, of course, is losing all of your friends who can no longer relate to your now wealthy self. The second is having to handle the inevitable jerks and cheaters that slip into your game. Hoping to deal with said cheaters, Facepunch has announced the implementation of new anti-cheating software that it's dubbed CheatPunch. According to founder Garry Newman, the custom program ran "over the weekend" and has resulted in the banning of some 4,621 players. "If you get kicked from the official servers with the message that you've been banned then you have been caught," he said. "You know what you have done. You won't get unbanned. We know it was your 9 year old cousin. We know your computer got hijacked. We know that the CIA is getting you banned from all your games on Steam so you will join them in the hunt for aliens." To help quell the complaints from players claiming they were wrongfully banned from the game, Newman revealed that Facepunch is also in the process of "[setting up] a site set up for people that have been banned so they can go and see proof that they've been caught." That said, he admits that CheatPunch is just a "stop gap solution" and that cheaters will find ways around it. Even if they do however, Newman affirmed that Facepunch would be there to meet cheaters with new methods of restriction. "We're never going to be finished fighting."